In Canada, legal pot has left companies scrambling. Many are updating their health and safety policies. Some are planning outright bans. No one is sure if these policies will work, or be enforceable. But there might be an app for that. The problem of impairment has long been a challenge for health and safety professionals who need to protect workers without violating rights. Now, tech companies are developing cognitive screening tools that detect impairment in about 90 seconds, regardless of the cause, and without any need for supervisor assessment. They can deliver a simple, science-based evaluation through workers’ smartphones – every day. The legalization of cannabis has highlighted a problem in health and safety: a substance-first approach is flawed. It’s one thing to set policies for substance use in relation to the workplace, but it’s another to enforce them. First, detecting impairment itself is difficult. Supervisor evaluation is subjective and haphazard and often only identifies the most extreme cases of impairment. Searches and testing come up against privacy, not to mention erode worker trust. They also can make it hard to hire. Employers in Colorado have reportedly looked out of state for new hires, after local candidates fail to pass drug screenings. In Canada, even where testing may be allowed for safety reasons—and that has been contentious in the workplace—testing for pot is scientifically problematic. Cannabis is difficult to measure because THC remains in the system for days and does not necessarily signal impairment. Even testing equipment may be fraught with difficulty, as questions about a potential roadside testing device recently revealed. Research into cognitive ability offers a more promising option. Originally developed for issues like Alzheimer’s screening, cognitive or performance tests assess mental fitness in comparison to an individual baseline. In a work context, cognitive tests put the emphasis on a worker’s fitness for the work, regardless of the reason. Fatigue, extreme stress, and illness can affect one’s physical and mental competence on a day-to-day basis, without any drugs or alcohol in the system at all. A “fit-for-duty” test focuses on ability. After all, when it comes to safety, it doesn’t matter why someone shouldn’t get behind the wheel. It just matters that they shouldn’t. The Ontario Human Rights Commission recommends using the least intrusive means of measuring fitness for work. Field sobriety tests, such as walk-and-turn in law enforcement, follow this principle, but they’re not practical for the everyday workplace. Now, cognitive screening tests are coming to our smartphones. For instance, one such tool uses a series of images to identify baseline cognitive alertness and then test against that baseline to determine the presence of any cognitive impairment. Conducted on over 20,000 users since 2011, the results show a clear difference between a test taker with a “normal” response time and someone who exhibits cognitive impairment. Cognitive screening apps show promise for the workplace because they 1) test against an individualized baseline, 2) quickly assess fitness each day, and 3) maintain physical privacy. Employees want to know about their safety level as much as employers do. A simple yes/no cognitive test supports safety policies that handle assessment in a progressive, non-judgmental way, keeping the focus on current ability, not potential cause. 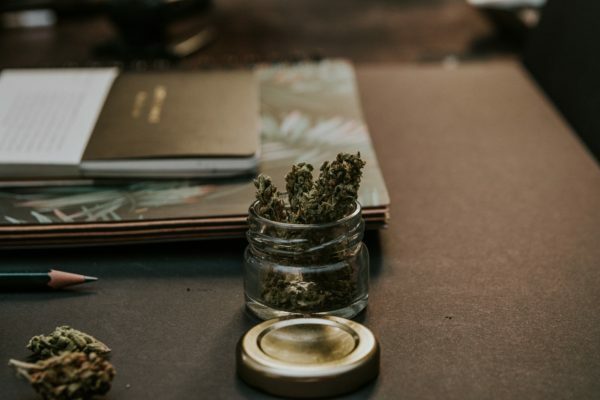 In April, Statistics Canada reported that 14% of people aged 15 and older used cannabis, and the number was much higher for people comprising a large segment of the workforce. Roughly one in four Canadians under 35 admitted cannabis use, and this can compromise safety on the job, especially in industries like transportation, construction, manufacturing and utilities, where workers, co-workers, and the public can be at risk. As safety professionals, we’ve seen companies grabble with liability because they did not take enough precautions to identify hazards and prevent accidents each day. In a legal case, the onus is on the employer to prove diligence. App-based cognitive testing can help prevent accidents before they occur and demonstrate vigilance by both the employer and employee. They might soon be an integral part of every company’s safety program. Interested in learning more about this new technology? Sign up to receive updates.